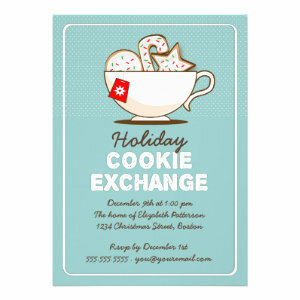 Get the celebrations started with these brilliantly fun Holiday Cookie Exchange Party Invitations. 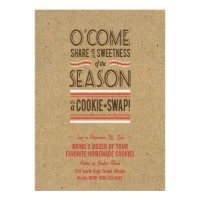 Kids and adults can show their creative side and have a Holiday Cookie Exchange Party. It's a great way to get family, friend's, and neighbours involved in the celebrations. Indulging in your creative side is also a good way to get in to the Christmas spirit. Holiday Cookie Exchange Parties are also a really good way to have a lot of fun for not a lot of money. 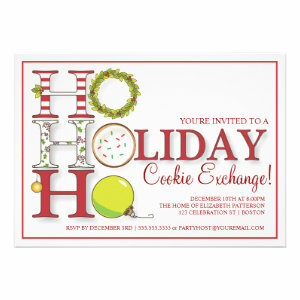 You can have nibbles and drinks set up and people can drop in when they can to exchange cookies or you can have everyone arrive at the same time for a mass cookie exchange. Some people even bake the cookies at home then bring them to one house to decorate together with family and friends before exchanging them. 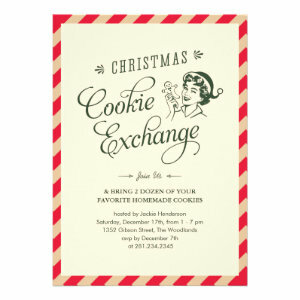 All of our Holiday Cookie Exchange Party Invitations can be personalized quickly and easily. Change the text, style, font, colour and layout. 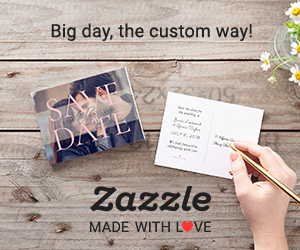 Choose a different paper style and finish for the perfect party announcement. 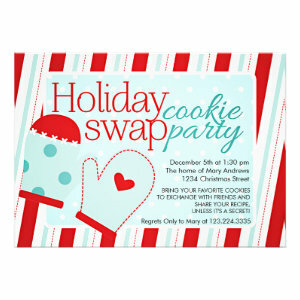 Holiday's are fun and what better way to enjoy the festivities than to get a little traditional at heart and bake some lovely gifts and invite everyone to come and have a cookie swap party.